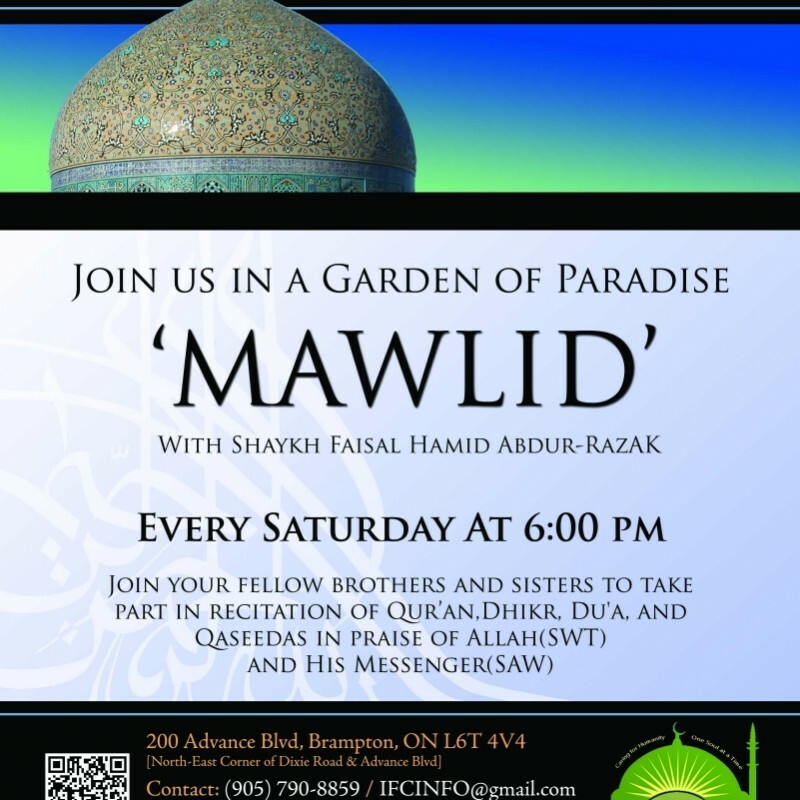 – The Islamic Forum of Canada is having a SPECIAL MAWLID PROGRAM. – This SPECIAL MAWLID will be on SATURDAY, starting at 6 PM. – We extend this special invitation to you and your family. – Additional program details are below. 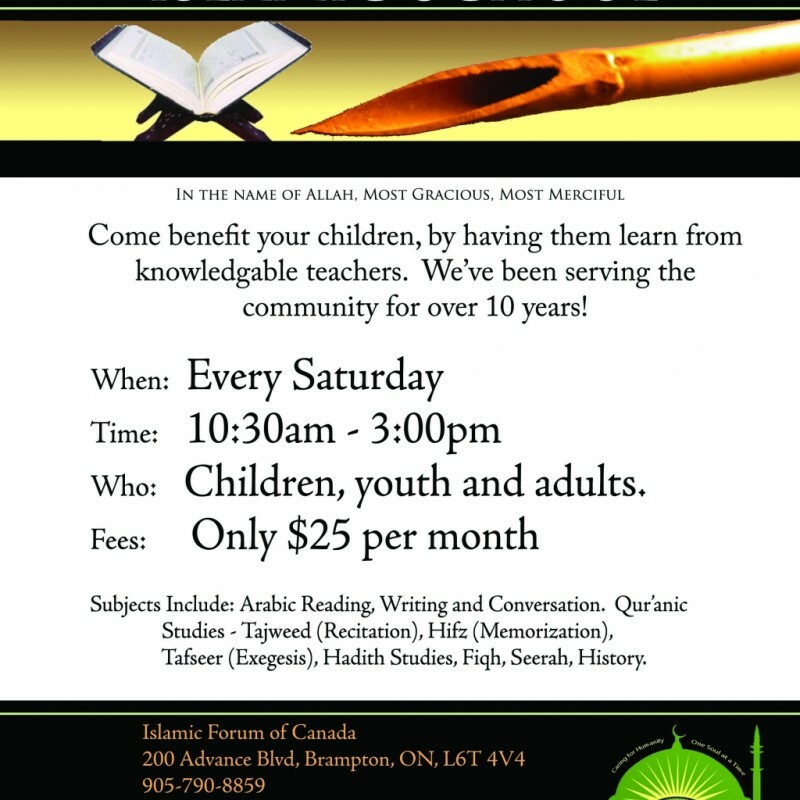 special program – THE SATURDAY MAWLID [MAWLID AL-SABT]. Please invite your family, relatives and friends to come with you. WHAT: There will be a special lecture by Shaykh Faisal. This is a program for the entire family. You can come by yourself or you can bring your family members. You may also invite your relatives and friends to come with you. The names are listed in the special post on Mawlid Sponsors. kindly make special Du`aa for the Mawlid Sponsors. for more information and the cost of sponsorship. Kindly convey this information to all your contacts. Make arrangements to come to the Islamic Forum for Jumu`ah. Invite your relatives and friends to come to the Islamic Forum for Salatul Jumu`ah. Daylight Saving Time starts on the Second Sunday of March. The Spring Season: The Time “SPRINGS FORWARD” by One Hour. The First Sunday of November: Back to Standard Time. The Fall Season: The Time “FALLS BACK” by One Hour.